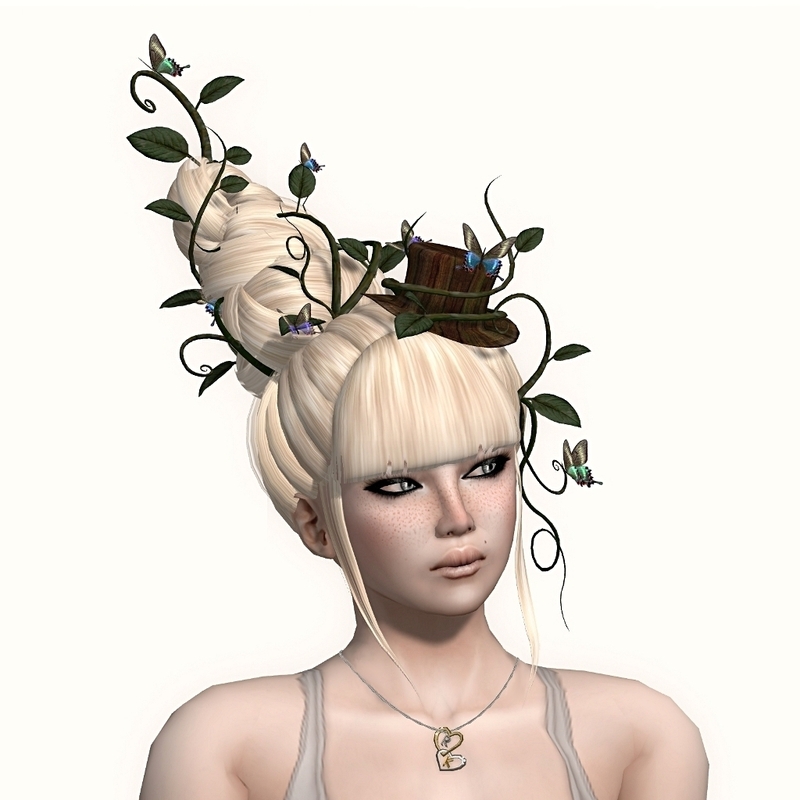 Keep up to date with the latest and greatest hair designs and hair accessories in Secondlife. There have been some fantastic new styles released this summer at Wasabi Pills and here are the two latest releases. 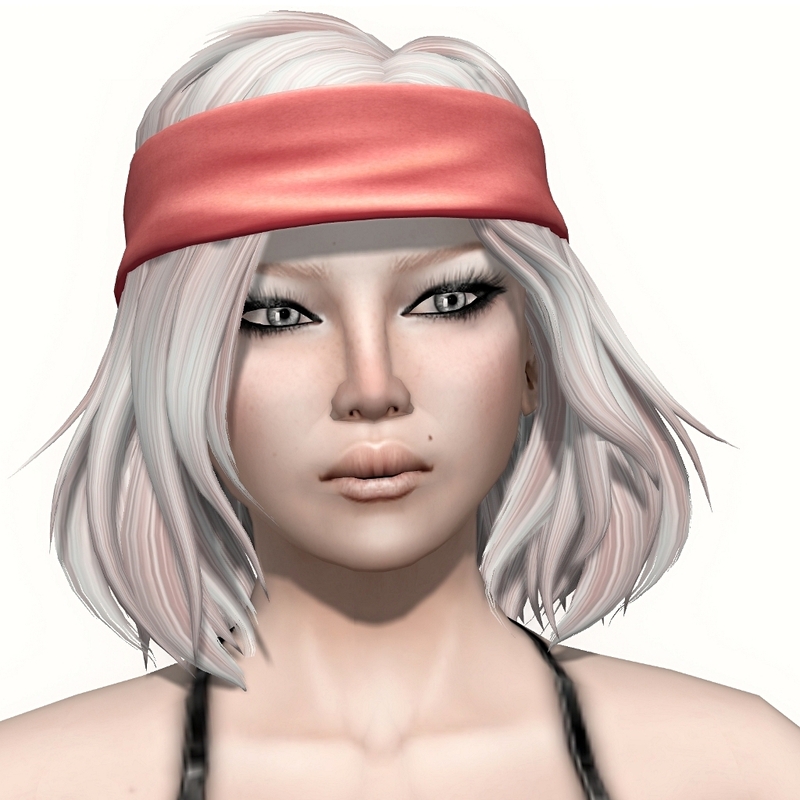 First as shown above is Nami, a shoulder length style with long layers and finished off with with a cute color change head band. The head band has a huge amount of colors to choose from with just one click and the script can be deleted to make it easy on lag. Next is Eve another style just perfect for the summer. Designed with the long hair swept into a side ponytail and knotted in place. Eve has a long stylish fringe and is finished off with optional beads. The beads are color change and have a wide variety of colors, and the strings can be changed from brown to black. Both styles are available in the regular Wasabi Pills colors. 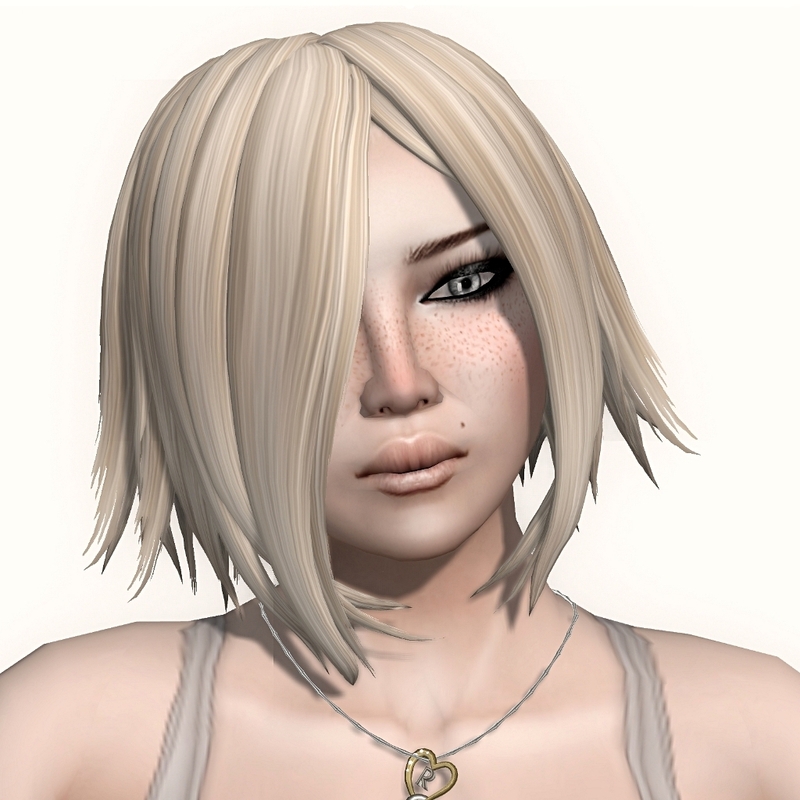 For any fans of (Posh) Hair, it has now moved to The Whisper sim. A super cool sim full of fabulous stores, which now includes Posh. And as a little gift for all Posh customers, the fantastic Inside Out Hair in Sunflower with Streaks has been put on sale for only 25L. Shown above Inside Out is a great short layered style and has a cute little ponytail at the back, it comes with four different colors of streaks and is a bargain that cannot be missed. New at !lamb is Some Velvet Morning as shown above. A bob style hair with the front section tied into a loose braid and tucked behind the ears. Some Velvet Morning is available in all the regular color packs and is shown above Blur Root from the Ombre and Root pack. If you are looking for something a little more colorful then head over to !lamb as soon as possible because as part of this weeks Fifty Linden Friday, the fabulous Mess hair is available in two vibrant colors for only 50L. Shown above is Mess in the very cute My Little Pony shade. [Love Soul] is known for it's amazing selection of prim nails but it also sells some really fantastic hair styles. Here are three of my favorites. Above is I Love Nature in white blonde, which consists of a very elegant and unique knotted updo style, finished off with a little hat, butterflies and vines twisted around the hair. Next is Hair*065 another fabulous updo style with the hair pulled into two big knots on top of the head and the front sections left loose. I really love both styles as they are very elegant but dramatic at the same time. 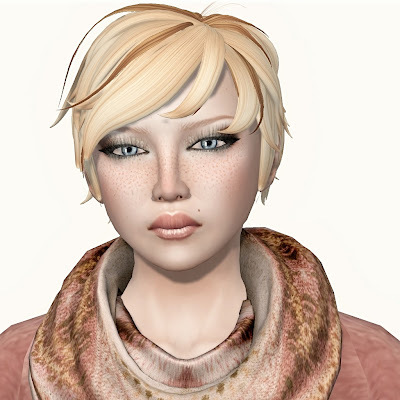 Above is Hair*098, one of the more casual styles at [Love Soul]. A long style designed with the hair pulled back behind the ears and a full fringe. [Love Soul] have a wide variety of fabulous hairs and you can check them out by following the link below. 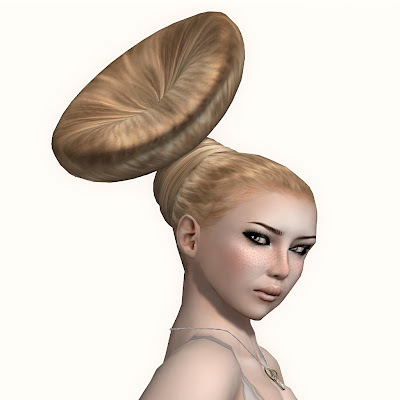 There are so many secondlife hairs that I have never got around to blogging, some of which are the fantastic hair attachments from Baiastice. I really love these styles and if you are looking for some great high fashion styles, then follow the link at the bottom and try on some of these fabulous demos. Pictured here are three of my favorites. New at Wasabi Pills is Kiki and Kiki II. Kiki as shown above is a very cool layered bob style and Kiki II (below) has the same layers and length around the back and sides but with added length on the front sections, forming a very distinctive style. If you are looking for a cool and colorful hair style...that's also free, then head over to ME-I. Both Avril as shown above, and Ives shown further down on this blog, are free in the ME-I luckyboard. The Shiny Happy Hair blog for all the cool and funky, old and new hair styles and hair accessories in secondlife. NEW STACY & TINA HAIR @ THE EPIPHANY! (fd) Striped Spring Set Update!